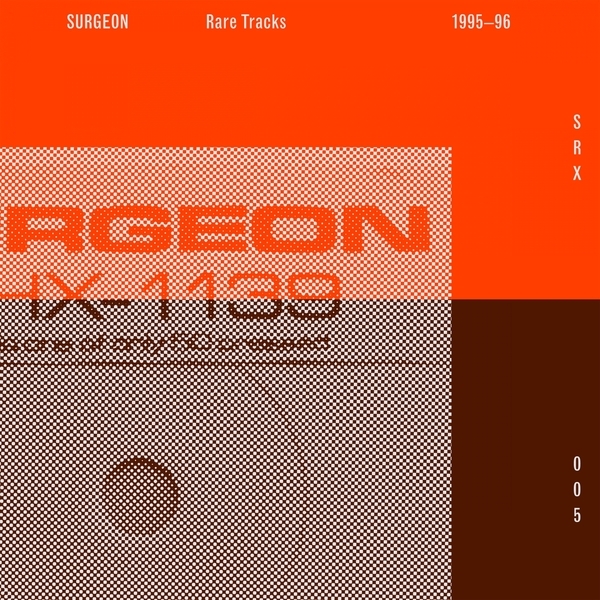 Surgeon picks out some rare (and not so rare) tracks circa 1995-96 for reissue thru Dynamic Tension. A-side includes the lesser-spotted pounding of 'Fivo', taken from a 12" for Birmingham's Round Records (MBRR-001), plus the bucking nastiness of 'Pagga', lifted from Kickin Records (KICK 64). 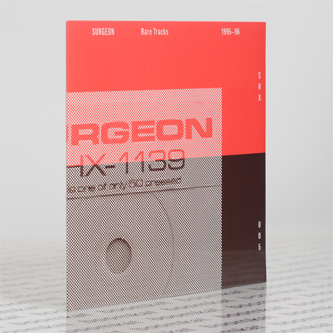 Flipside is where it gets special, giving two highly sought-after, brain-burrowing Surgeon obscurities known and coveted as 'THX1139' and originally issued in edition of only 50 copies, hence the 2nd hand price of £125! Priceless business, bab.